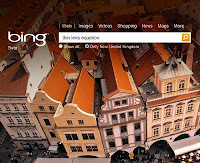 Bing has apparently been given permission to use structured data from Wolfram Alpha, which could prove highly significant in its bid to challenge Google's stranglehold of UK search. Microsoft, owner of the search engine, has been locked in negotiations with senior figures at the “computational knowledge engine” for months and now a licensing agreement has finally been put in place, according to internet news portal TechCrunch. Although terms of the deal have not been made public, a linkup between two of the web’s hottest properties could have significant repercussions for SEO marketers. 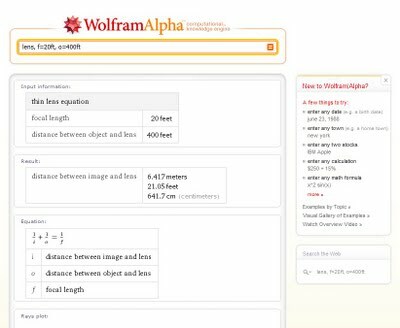 Wolfram Alpha was launched amid much fanfare on May 15th 2009 with developers promising it would eventually provide definitive answers to factual queries across a wide range of subject matters from science and maths to music and weather. What makes it stand apart from traditional search engines such as Google, Ask and indeed Bing is that these answers are drawn from an internal knowledge base. In other words, it uses structured data instead of simply trawling the internet for links. Despite critical acclaim – it featured alongside Twitter and Spotify on the Time list of 50 best websites in 2009 – initial excitement surrounding the knowledge engine has largely died down and it is not making significant inroads into Google’s dominant query resolution position. Recently, founder Stephen Wolfram posted an official blog outlining the measures developers have taken to improve the platform that bears his name. He revealed that the Wolfram Alpha codebase has grown 52 per cent and the number of queries that cannot be resolved has dropped ten per cent over the first few months. However, the service has been criticised for concentrating on performance while neglecting user-friendliness. The proposed linkup with Microsoft could be a turning point – both for Wolfram Alpha and Bing. Some search industry commentators have suggested Bing’s main advantage over Google is its superior layout – so Wolfram Alpha could potentially also give it an edge in relation to query resolution. On paper at least, combining Bing’s style with Wolfram Alpha’s substance is a dream ticket that could prove decisive in winning over disaffected Google users. And where eyeballs go, search marketers are sure to follow.